Ready to join our Rewards Program? 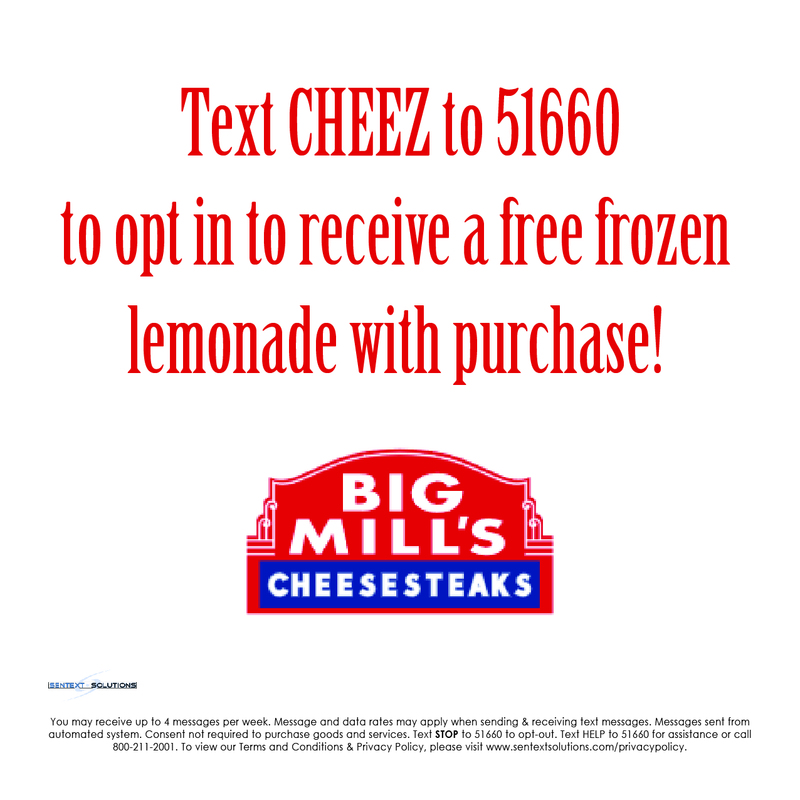 As a member of Big Mill’s Cheesesteaks Rewards, you will earn 1 point for every $0.50 you spend and receive a $2.50 discount for every 50 points you redeem. When you come in to our restaurant and make a purchase with your credit card, you’ll be able to sign up for Big Mill’s Cheesesteaks Rewards Program at the register. You will receive 25 points for just signing up for our rewards program. When you sign up for our birthday rewards, we will place one $5 discount on your card. If you come in during your birthday month, we will automatically apply it to your check. Don’t forget to follow us on Facebook and Twitter for daily specials! Stay up-to-date on the latest Big Mill’s deals and discounts so you can save on Gainesville’s best cheesesteak and all your other Big Mill’s favorites.